Bidders and observers at the SLA auction. Photo: SLA. Five former public housing sites in the inner south have sold for more than $84 million, with one block selling for $40 million, the largest sale of a single block of land by the ACT Government since 2016. The Suburban Land Agency said the landmark sites in Griffith and Narrabundah, the former Stuart Flats and Gowrie Court were part of ACT Government’s Asset Recycling Initiative program and attracted 22 registered bidders hotly contesting each block on offer. Of particular interest was Block 24 Section 39 at Griffith which enticed multiple bidders, with the Yeend Pty Limited eventually paying $40 million. The Griffith site has been described as a gem of the Inner South, within eyeshot of Manuka Oval and close to schools, Manuka Town Centre, Lake Burley Griffin and the Parliamentary Triangle. BMJ Canberra Investment Corporation Pty Ltd bought two blocks – Griffith Block 23 Section 39 for $12,005,000 and Block 6 Section 43 for $3,615,000. Griffith Block 25 Section 39 went to Bisa Inner South Projects Pty Ltd for $8,250,000, while Narrabundah Block 3 Section 62 sold for $20,355,000 to Braddon D Pty Ltd & Braddon G Pty Ltd.
A sixth site at Lyons opposite the Woden Town Centre, the former Strathgordon Court marketed as the Junction, was passed in, however agents were confident of negotiating a sale on the block within the coming days. 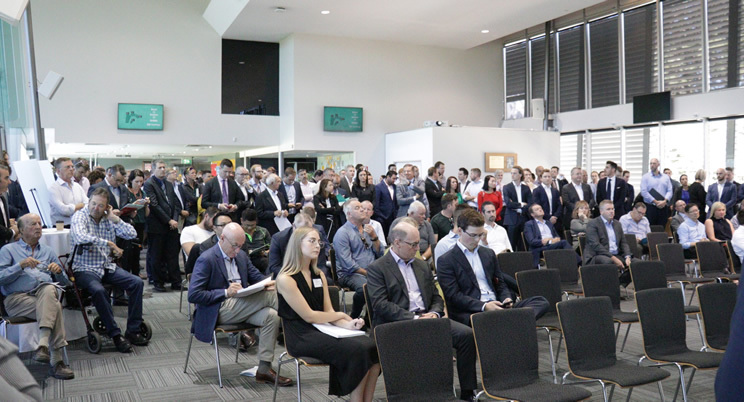 The SLA said the auction showed the continued strong interest for quality development opportunities in the ACT’s property market and marked another milestone in the ACT Government’s urban renewal program, driven by the vision for a re-invigorated Canberra. It said the sites in Griffith, Narrabundah and Lyons provided exceptional opportunities for innovative townhouse and low-rise residential development. Without a doubt, the WORST government of any kind in the country. A greedy, money grabbing bunch of self serving parasites. There....I feel better now. Ok so does this mean no more increase in land rates for stage 2 of bloody light rail? Where's the replacement housing for public housing tenants? There was supposed to be a percentage in each new private development, but that seems to have disappeared. I'm wondering where all the former inhabitants have gone. One minute they were all there, the next the place is fenced off with old furniture sitting behind the fence on the grass. Jackie White all the new places that were built out in the coombs area and moncrief. Jackie White relocated all across Canberra - some in gungahlin, Belconnen, turner, Woden etc. people got to nominate their preference. Why did these blocks sell for so much given they aren’t on the light rail corridor? Jackie White I know, but the gov told us developers only bought blocks in Braddon turner and Lyneham because of light rail. Patrick J Pentony good news is, people buying here will get some sleep, as opposed to those close to our "silent" trams. Clearly the ACT Government is making good money from land sales- can we get a reduction in our rates now?!? Kristina keep dreaming on the rates going down.